Architectural House Models of Hamptons Houses Created by Model Maker/Architect Gary Lawrance, AIA of residences designed by Peter Cook Architect, Southampton, New York. Please click HERE to read online, "Scaling Down Expectations" in the Wall Street Journal's real estate section, "Mansion", about architect Gary Lawrance, AIA and his firm, Lawrance Architectural Presentations. Please click HERE and HERE to see a listing of other media sources and exhibitions where more examples of my work can be seen. Architectural model by model maker Gary Lawrance, AIA Lawrance Architectural Presentations of a Hamptons home designed by Peter Cook Architect, New York. Please click HERE to see some more models from my 2010 exhibition, "Phenomenal Places" that was held at the Southampton Historical Museum. Nid De Papillon at East Hampton. Click HERE to read the story about this unique mansion in East Hampton, recently featured in New York Magazine. Click HERE for more about Nid De Papillon. Read today's review of " Houses of the Hamptons, 1880-1930" on David Patrick Columbia's New York Social Diary. 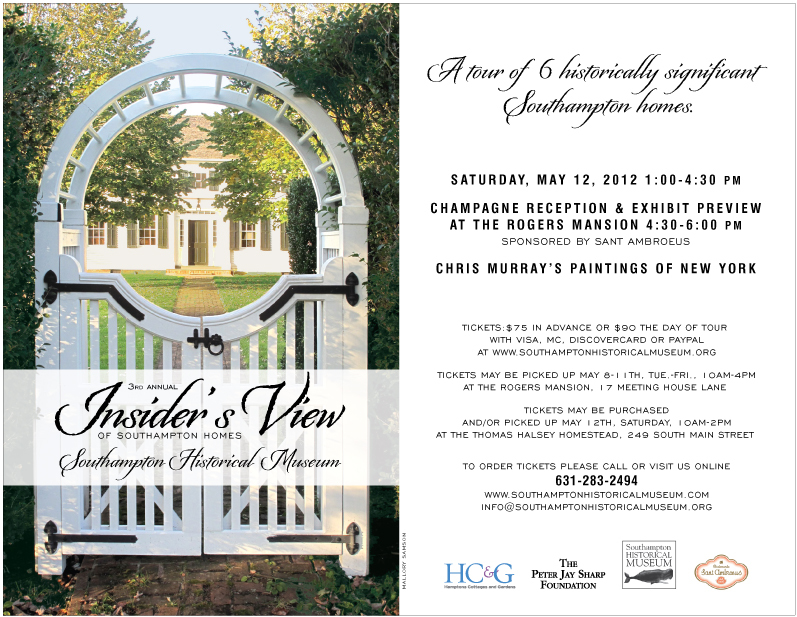 Walking Tour,"The Founding of Southampton's Summer Colony"
Wooldon Manor at Southampton, One of the homes to be discussed on the tour. On August 19th, this coming Sunday at 11am, I will be giving a one hour walking tour that will discuss the beginnings of why the village of Southampton, became the world famous resort that was and still is known for it's splendid estates and luxurious lifestyle. Please click HERE for more information. The tour is being given by the Southampton Historical Museum. Please note, there is public parking in front of the Beach Club and the Dune Church, but you must read the signs to make sure you park in the correct designated spaces for non-residents. Ocean Avenue, East Hampton. Postcard : Gary Lawrance Collection. 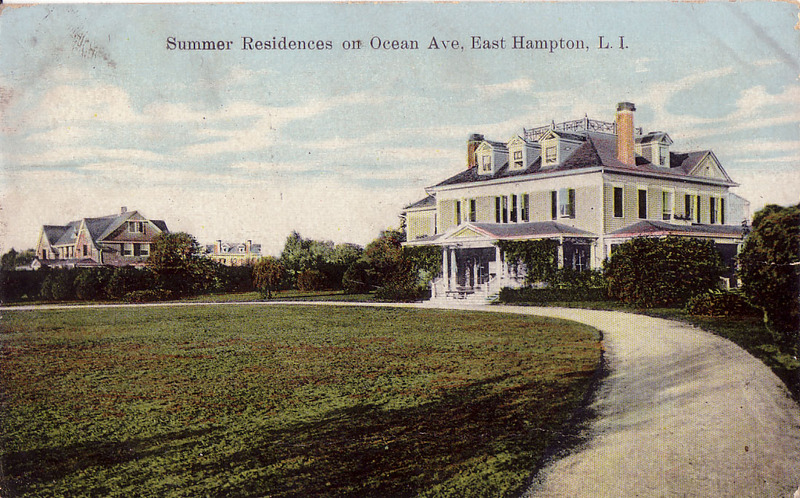 Here is a beautiful scene on Ocean Avenue of early summer cottages. In the first years of the Hamptons, when it became a fashionable resort for New York's social elite, many of the houses where easily visible from the road. 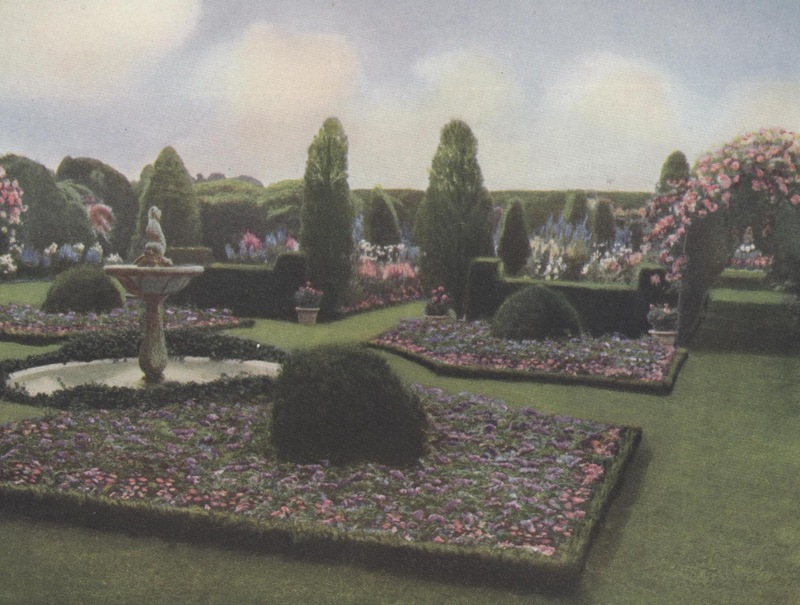 It was only later that the large privet hedges that surround many of the homes in the estate sections, were planted. The house in the foreground was built for Reverend Stephen Mershon circa 1870s. The house in the background was built for Arthur Van Brunt circa early 1900's. Amazingly it seems these two homes still exist, looking very much as they always were.See them HERE today on Bing Maps. Make sure you open them in Bird's eye view. 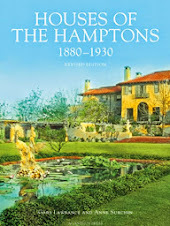 Below are some books I recommend about historic houses in the Hamptons. 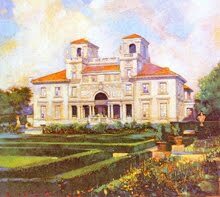 If you have a facebook account, friend GILDED AGE MANSIONS and join the group, MANSIONS of the GILDED AGE. 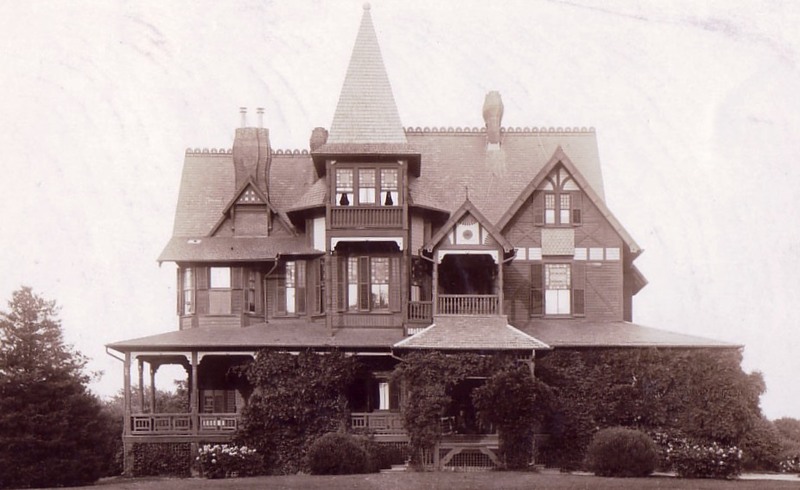 Please visit my other blog, Mansions of the Gilded Age. 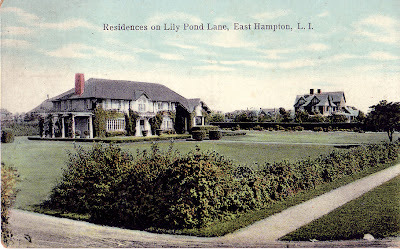 Residences on Lily Pond Lane, East Hampton, New York. See this view today HERE. Make sure to click on Bird's eye view. 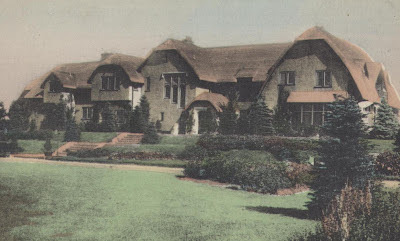 Please note that the home on the left called, Little Burlees, built for Edward T. Cockcroft in 1905 and designed by architect, Harrie T. Lindeberg. This beautiful cottage style home was totally destroyed by fire in 2008, which may not be reflected in all aerial views. Century old Lily Pond Lane home destroyed by fire. Little Burlees on Old Long Island. Tremedden, Ocean Road, Bridgehampton. The Richard Esterbrook home. Tremedden was the Bridgehampton home of Richard Esterbrook, Jr. It was located on Ocean Road, just south of Minden, the former John E. Berwind estate. Mrs. Berwind was the niece of Antoinette Esterbrook. This wonderful Victorian style house is no longer existing. The estate is also used in the popular TV Series," Royal Pains". Houses of the Hamptons, 1880-1930, Gary Lawrance & Anne Surchin, Acanthus Press 2007. Villa Mille Fiore at Southampton was located at the corner of Coopers Neck Lane and Great Plains Road. Villa Mille Fiore," House of a Thousand Flowers",was built in 1910 for Albert Boardman. 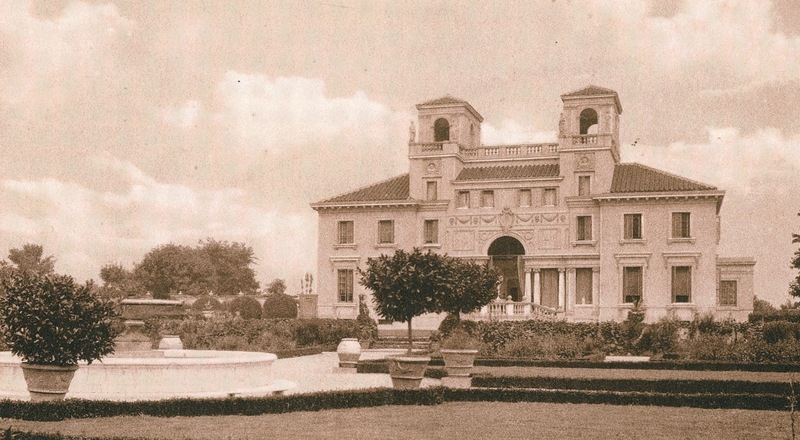 It was modeled after the Villa Medici in Rome. 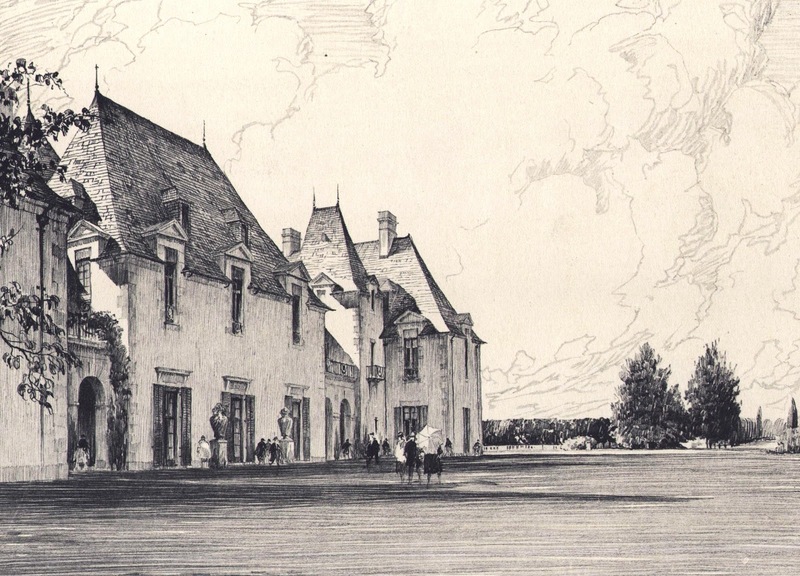 In this article from Arts & Decorations, there are some views of the living room and dining room, of this incredible, now demolished mansion that once stood at the corner of Great Plains Road and Coopers Neck Lane. Click HERE to see the site today. The house was an oddity among other Southampton houses and was used as a setting for an Austrian Villa in an early 1920s silent film, " Just Suppose". 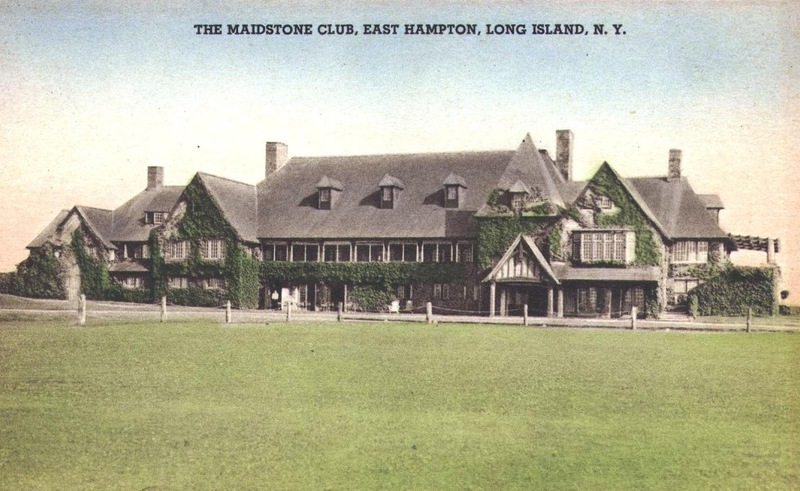 The Hamptons was an early place where the budding film industry made movies before moving to Hollywood. Rudolf Valentino's famous scenes of his galloping through the desert, were said to have been shot on the dunes at Montauk. 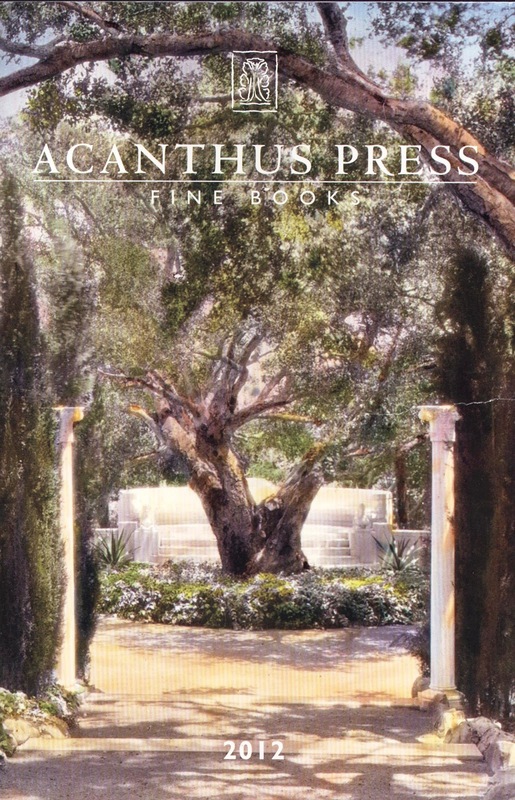 Coverage of Villa Mille Fiore, it's history with floor plans and many more images can be found in the book, Houses of the Hamptons, 1880-1930, written by Gary Lawrance and Anne Surchin, published by Acanthus Press 2007. The book contains stories about 32 other houses, most with floor plans, numerous photographs and family histories. Click HERE to preview some chapters. See more about Villa Mille Fiore as reviewed by David Patrick Columbia in his New York Social Diary. Visit Acanthus Press to buy and see many other wonderful books on Architecture, Interiors and Gardens from the Gilded Age. 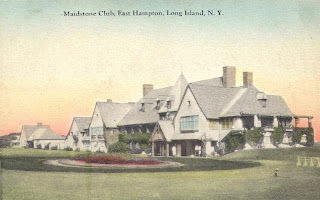 The Maidstone Club at East Hampton. Entrance to the Maidstone Club, East Hampton. 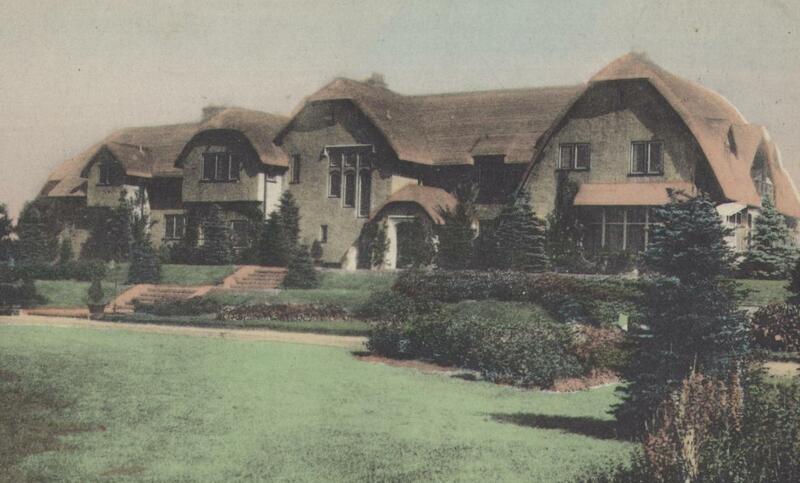 Here are two old great views of the Maidstone Club, designed by architect Roger Bullard in the 1920's after the previous building burned down. Click HERE to see it on Bing Maps. 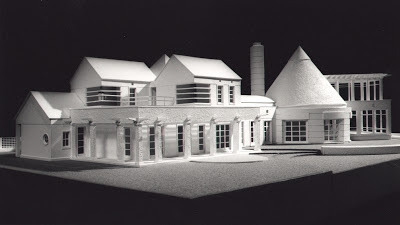 Architectural model of a Southampton residence. Architectural model by model maker Gary Lawrance, AIA of a residence designed by Fleetwood & McMullan Architects. Click HERE to see more models by Gary Lawrance, AIA from his Exhibition, " Phenomenal Places" at the Southampton Historical Museum. 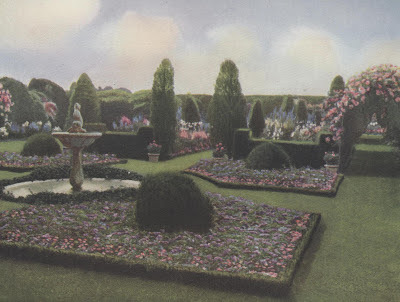 The colorful garden of the Wyckoff estate which was located at the western end of Gin Lane near Lake Agawam in Southampton. The gardens at the Wyckoff estate in it's heyday were some of the most beautiful in the Hamptons. The property later was sold to Jessie Woolworth Donahue, who with her husband James redid the whole estate, making it into one of the most luxurious in the Hamptons.Unfortunately the house and gardens no longer exist, except for the carriage houses and the pool house built on the ocean by the Donahues, which could easily be mistaken for the original mansion since it has been expanded over the years. 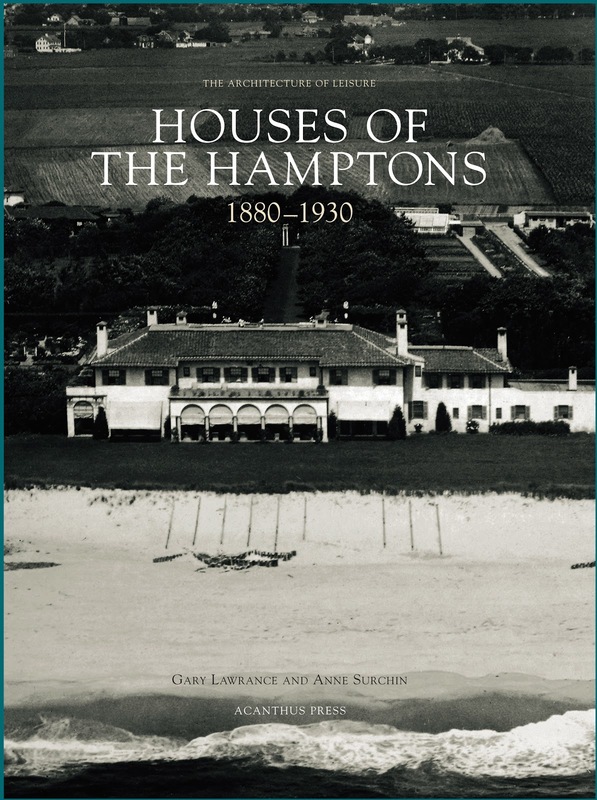 Wooldon Manor is featured in the book, " Houses of the Hamptons, 1880-1930", by Gary Lawrance & Anne Surchin. Click HERE to see a review of the book on New York Social Diary and for more views of Wooldon Manor. Click HERE to see the property today on Bing Maps. Newport, Rhode Island, is a summer resort to which thousands of the wealthy throng each year to strive for social recognition. 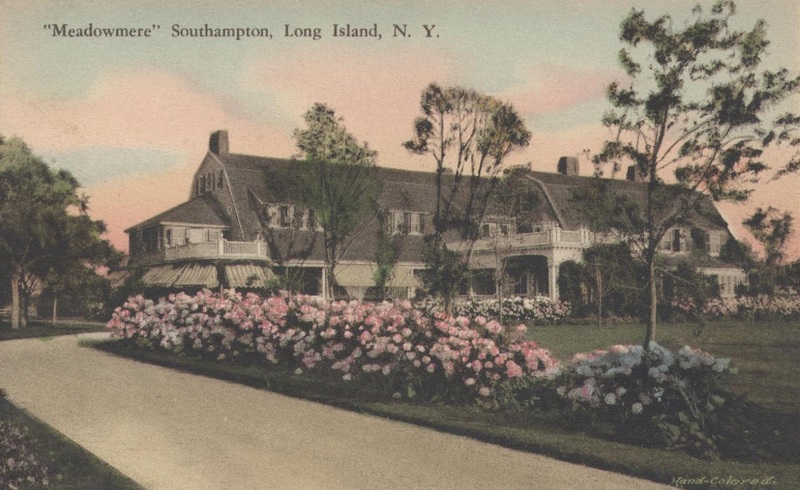 Southampton, Long Island, is a quiet seaside village whither a few hundred of the old New York aristocracy go each summer to get away from Newport and all it signifies. Newport is rich and blatantly proud of it. Southampton is wealthy and gives the matter little or no concern. Newport is a battleground for those who have social campaigns to wage. Southampton is a resting place for men and women who have never found it necessary to fight or buy their way into society. This book written in 1924 by Mrs. Van Rensselaer is one of the best books that chronicles the era of the, " Gilded Age". Her reflections on the era from someone who like Edith Wharton lived through it are insightful. 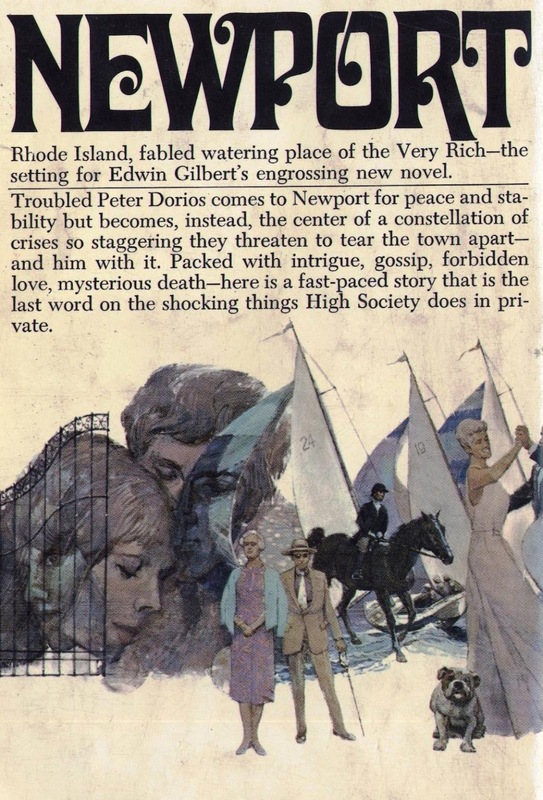 The book covers not only Southampton and Newport, but gives a complete analysis of High Society in the Gilded Age. 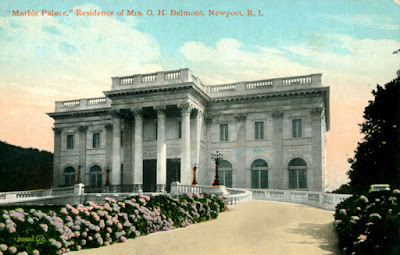 During the, "Gilded Age", Newport was always considered the, "Queen of Resorts" and all the other resorts of the era where often compared to Newport. Southampton, which in this time was often called the, " Little Newport". Click HERE for another amusing story about Southampton and Newport. 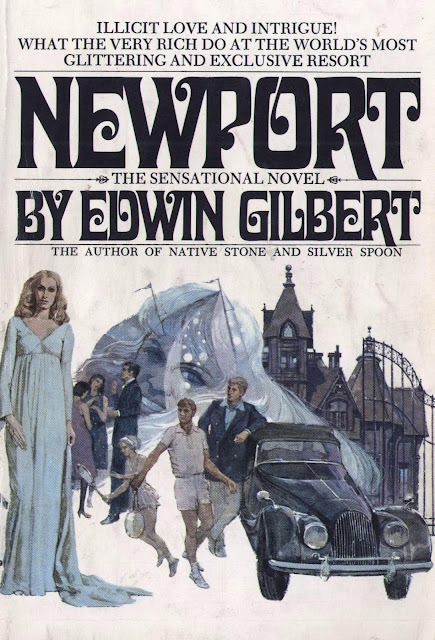 Click HERE for a great story about Newport Society. 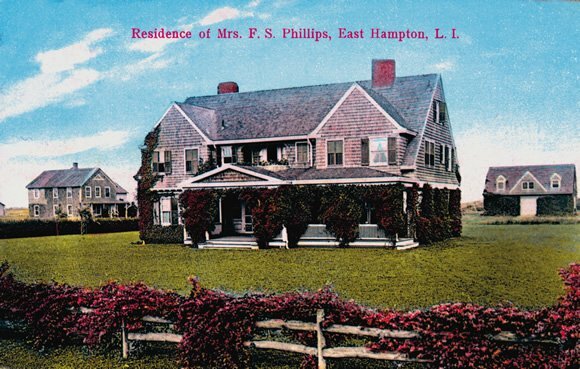 Nid De Papillon was built in 1917 on the dunes in East Hampton for Robert Appleton and his wife. 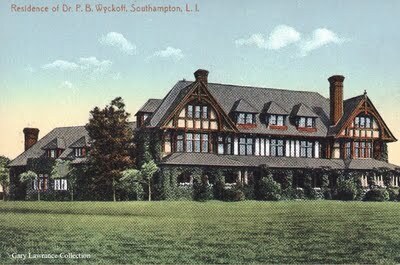 It was designed by architect, Frank Eaton Newman and is most noted for its unique shingled roof, recalling the English cottage style. The home is still existing and can be clearly seen from the beach, next to the Maidstone Club. Click HERE to see on Bing maps. Nid De Papillon is a featured house in, Houses of the Hamptons, 1880-1930, by Gary Lawrance and Anne Surchin, Acanthus Press 2007. You can preview the book HERE to see some of the homes within. You can also order Housesof the Hamptons, 1880-1930 through Acanthus Press. Be sure to look at their website and at the many other wonderful books that they publish. Click HERE to read a review of the book in New York Social Diary. Here is an interesting book which contains rarely seen photographs of the rich in their homes, resorts and just lounging about. Yachts, Tennis, Travel, Parties, Debutantes, Polo, Gardens, Horses, Fox Hunting. The world of Palm Beach, Newport, Southampton, The Riviera. 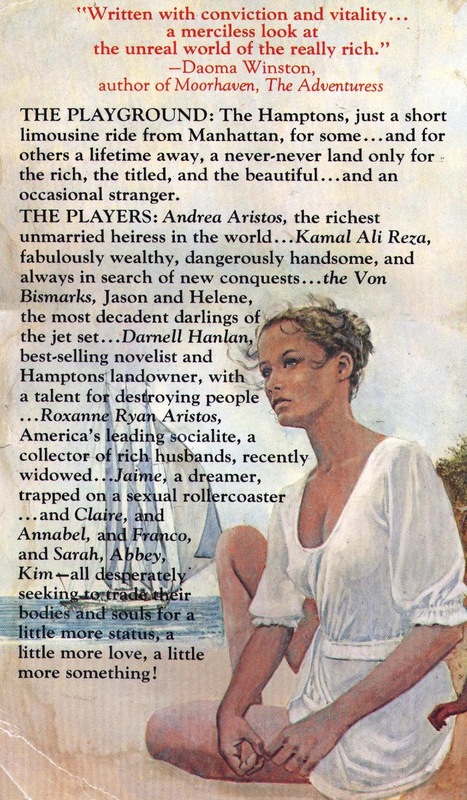 It is a small book and the stories are fictitious, but intertwined amongst beautiful images of the rich at play. This book presents an authentic picture of the Downton Abbey, Gatsby and Ralph Lauren lifestyles. F. Scott Fitzgerald in his novel, The Great Gatsby, said about his characters, Tom Buchanan & Daisy Buchanan, " They had spent a year in France for no particular reason, and then drifted here and there unrestfully, wherever people played polo and were rich together.” This book is like a wonderful scrapbook put together by Uncle Willy and Aunt Babs. I would recommend it for those who are real devotees of the subject. While researching this I found this fun blog, Stuff WASPs Like. 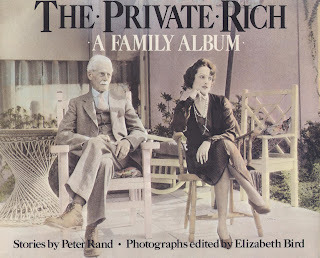 The Private Rich, A Family Album/ Stories by Peter Rand and photographs edited by Elizabeth Bird,Crown Publishers, Inc., New York. Click HERE to see it on Amazon and read more about it. Grey Gardens when first built. 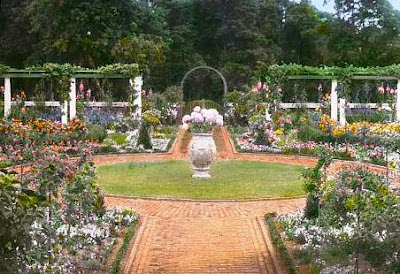 Click HERE to read an article from the New York Times about the restoration of the gardens at the Edith Bouvier Beale home in East Hampton, called Grey Gardens. Also after reading the article look through the Grey Gardens News blog for everything you ever wanted to know about, "Grey Gardens".